How many hours a week do you spend on Audience research for Facebook ads? If you're just getting started with Facebook ads, it better be a ton! Facebook ads are a powerful growth engine. But when done without research, they can easily turn into a money pit. Audience and ad targeting is by far the easiest area to make a mistake on. Whenever I meet new e-commerce marketer, I always suggest studying Facebook Retargeting first. It's much easier to achieve a profitable campaign and ensures you never waste traffic. Assuming you've set up retargeting, here are three strategies ton help you better understand your audience and find the most profitable Facebook audiences to reach new customers with Facebook ads! Where are they from? What's their income? What's their favorite TV show? What do they do on the weekends? These are all questions you should know. I know, it sounds crazy but trust me it matters. One of the greatest competitive advantages you can have as an entrepreneur and Facebook advertiser, is how well you understand your customers. A wise man once said, "whoever understands the customer most, will end up with all of them". This applies to advertising too, especially in e-commerce. As you may know, there are thousands of targeting options in Facebook ads and they make it very easy to target the wrong person. This is a pitfall I see many people get trapped in and I'm here to tell you a universal way to avoid it. It's called, research! The key is to develop your customer personas before you invest heavily in prospecting. But why does this research matter so much? Because it helps you write more persuasive ads, better optimize targeting and ultimately save money on your marketing campaigns. Here's a practical exercise you can use to develop customer personas and cheat the Targeting learning curve. Whenever we start working in a new industry, we pull out our Customer Persona Google Sheet Exercise. 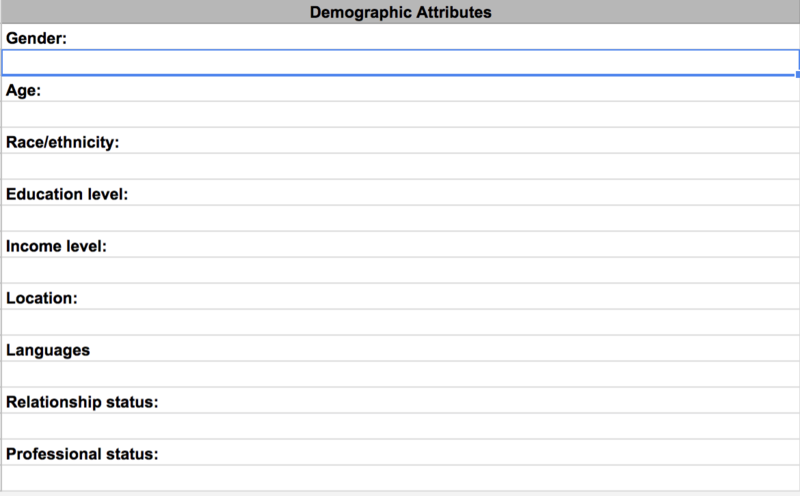 It has a few tabs with empty targeting fields that allow you to define your customer. While this may feel like a homework assignment, it forces you to fully articulate your customer persona and we find it incredibly useful. 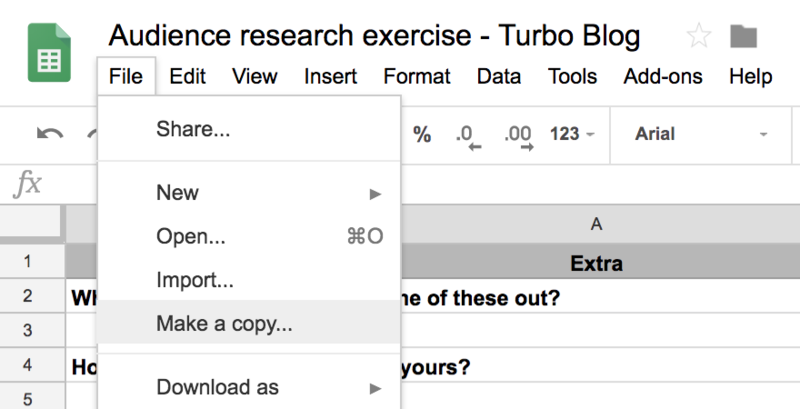 Once you open the file, Click "File" > "Make a copy" and take a few minutes and fill each tab! Once you fill out each tab, you will have a detailed customer persona that will help a ton in our next step of audience research. Pro tip: Send this to your business partner/team and have them fill one out. Then, compare and contrast your results! So.. You understand your ideal customers. Or at least you think so. 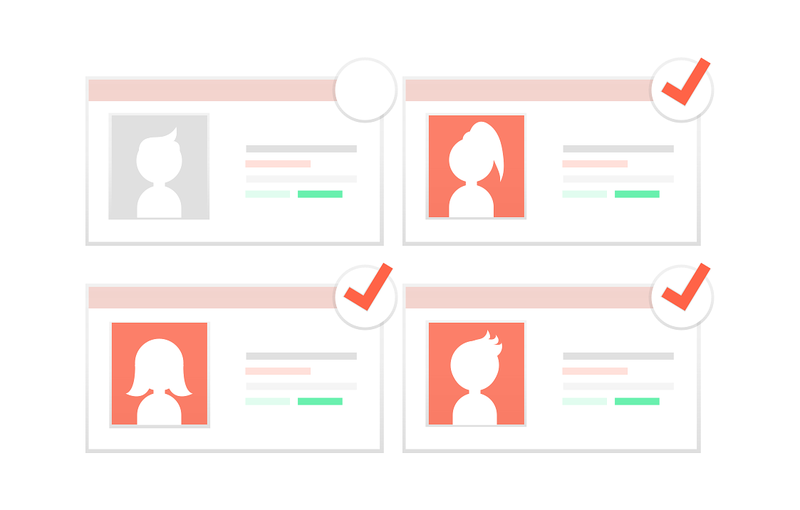 Now it's time to fact-check your customer personas! This strategy is especially effective for those just getting started, or have very little data to work with. I call it "The Creep Method" and here's how it works. Yes, it is. But it also well reflects this type of audience research. As you may know, Facebook stores all sorts of information about us, some of which is available for public viewing. In this audience research exercise, you will need a few customer names (or emails) and couple minutes. Go to Facebook.com and in the search bar, enter your customer's name (or email) and find their profile. Then, click "More" > "Page Likes"
Boom! A list of pages and interests that your customer "likes". Do any of these match up to your assumptions? Or the information you filled out from step 1? If not, consider adding a tab to your spreadsheet and start building a list of these relevant page likes. You should build a list of common interests from 10-15 customers, or until you have a list of 3-5 common interests. This will give you some proven insights directly from your customers. Another great method to find relevant interests is by using Facebook's free tool, Audience Insights. 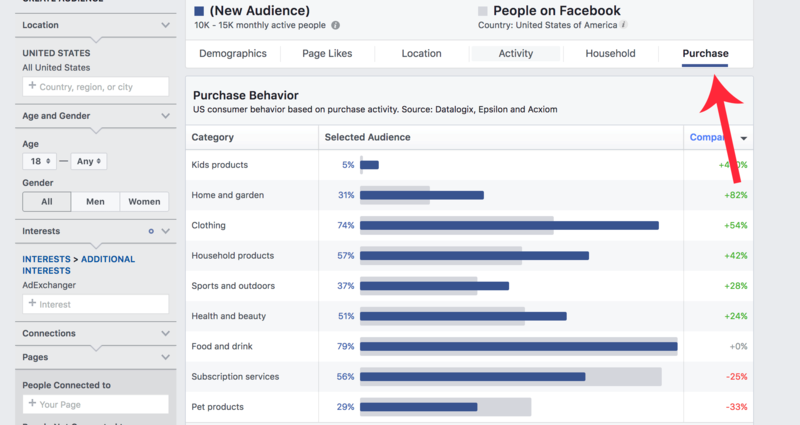 Audience Insights allows you to analyze audiences on Facebook and explore targetable interests. If you are familiar with Facebook Custom Audiences or have a significant amount of Page Likes, you can use those for this strategy. If you don't, use the interests from your finding of "the creep method". On the left side of Audience Insights, you will see a section to input your interests. Enter your interest and click enter. From here, you can dig into the details, add information to your customer persona file and continue developing potential audiences to target! These are three main sections of the Audience Insights that you will spend time as an e-commerce marketer. 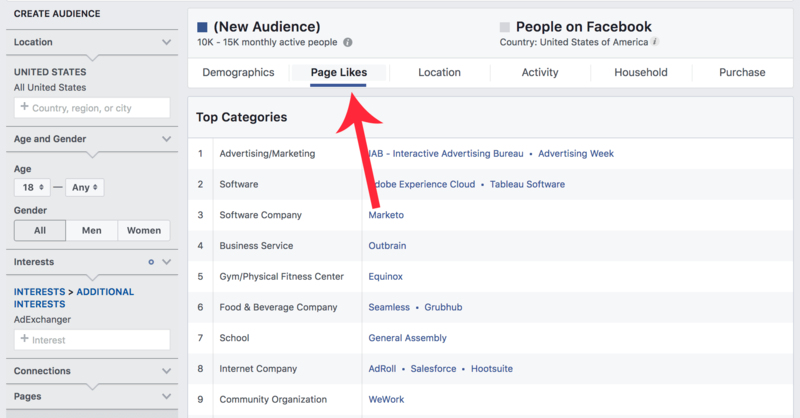 Where you can see which other pages/targetable interests these people "Like"
So make sure you spend enough time to understand each page, interest, etc. if you are unfamiliar with this industry/niche. 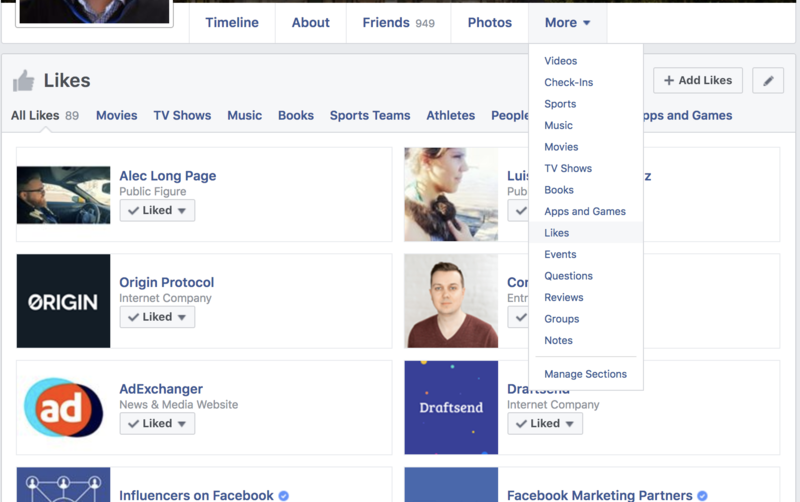 Pro tip: Some of the options in the "Page Likes" section are not targetable in Facebook, so make sure you save a few extra. If you have customer files or other customer information, you can also analyze it in Audience Insights by entering a Custom Audience instead of an interest. 4. [Bonus!] Listen to the data. As a tech-nerd, I couldn't help but add this bonus. The truth is, we build a lot of internal tools for our services business. We usually keep quite about these but I have to share this one. It analyzes information from your ad account and pixel information which makes it insanely effective for finding interests to target! 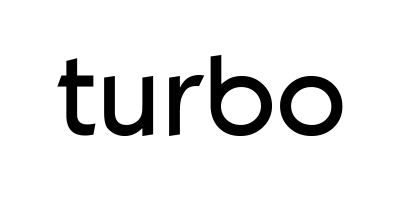 We believe in helping customers who help themselves, so if you're a Turbo customer and have read this entire article, send this message in live chat - "Turbo Targeting Algorithm" and we'll run this for your account, for free! Developing customer personas and doing audience research can be one of the most time consuming, yet most rewarding marketing activity you may ever do. Those who invest in research up front, usually discover the better audiences and have more success in their early advertising days. Take action, start research and let us know how else we can help.